As digital marketers we're all too aware of the importance of data. For example, the typical fortune 1000 company that sees a 10% increase in data accessibility generates $65 million in additional revenue, whilst bad or poor quality data costs organisations as much as 10-20% in revenue. One of the themes that stood out throughout the event was the importance of organising and exploiting data effectively and the need for a robust data management platform (or DMP). Establishing a DMP is not straightforward, however, there is a process any business can follow to ensure they set themselves up for success. Identity is key to understanding consumers and seeing changes in behaviour over time. However, we need to identify the most valuable data sets (which often sit in silos across organisations) and use analytics to extract the right insights. The scale may be much lower but the quality cannot be beaten as this is data you own, collected from your own platforms. Nevertheless the overall goal should always be to find the right data sets that match your organisation’s objective. At this early stage you should spend time defining your business objectives and how you’re planning to use a DMP. This planning process can be conducted as part of a small team as you uncover the opportunities and challenges. 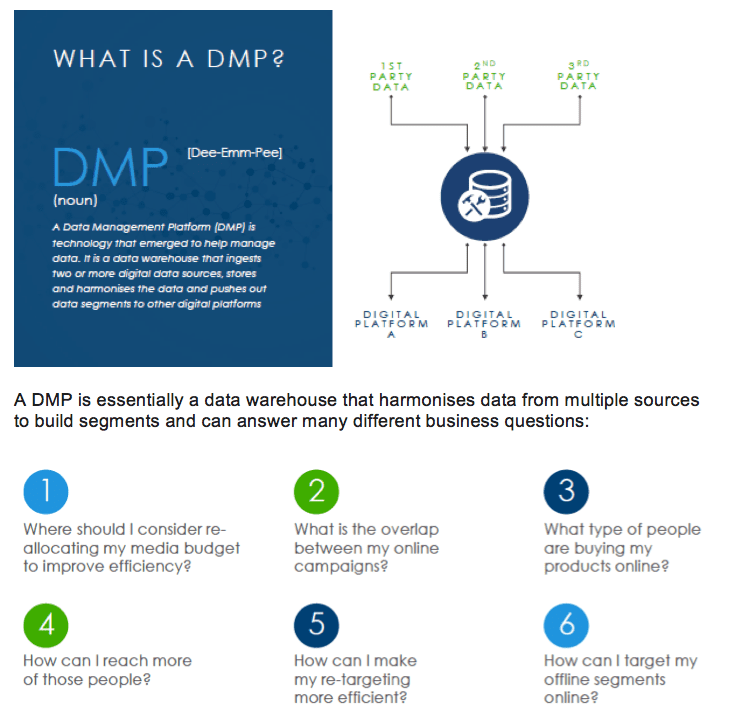 Be clear up front on your definition of what a DMP is for your business and what is most important. Reporting, CRM and/ or media may all be priorities but remember that some DMPs are more advanced than others so there’s no need for a Ferrari when a Ford Mondeo will do! Data quality - key for analytics integration. Are there tags on key pages? Do they fire correctly to capture the right data? 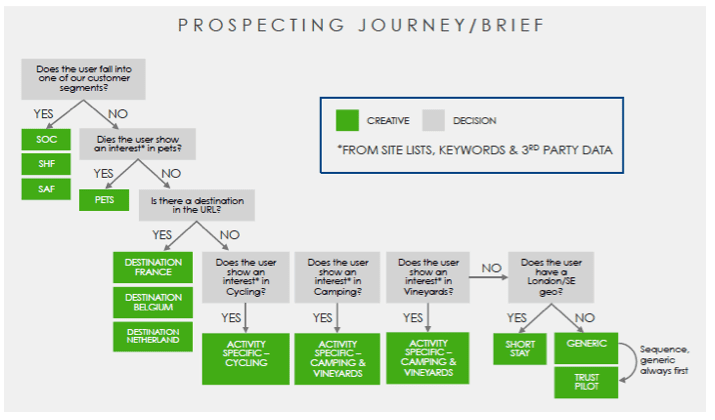 Once you’ve identified how you’re planning to use a DMP, the process of engaging wider stakeholders from across the organisation will begin as you begin the vendor selection process. Now that the DMP is in place and your organisation becomes more advanced from a data-management perspective, more technical questions around dynamic content, CRM integration and audience mapping. 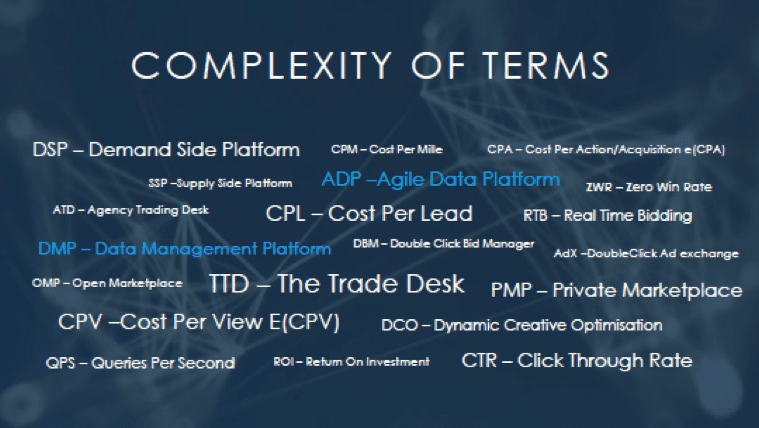 As a result of a more data-driven approach to marketing, we’re likely to see more businesses opt to invest in DMPs to manage the data they’re acquiring. However, as with any technology, a DMP is not a silver bullet. Careful planning, consideration and deployment is needed to ensure the right processes are put in place to establish the right culture and mindset so that the entire organisation can benefit from true data-driven decision-making.